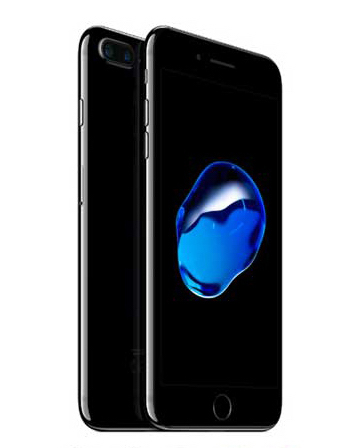 Globe announced it will offer iPhone 7 and iPhone 7 Plus, the best, most advanced iPhone ever, featuring an all-new advanced camera system, dust and water resistant design, stereo speaker system and the A10 Fusion chip which is the most powerful chip on any smartphone while delivering the best battery life ever in an iPhone. Customers can start reserving their iPhone 7 and iPhone 7 Plus beginning Friday, October 28, 2016 via www.globe.com.ph/iPhone7. The new smartphones will be available through the Globe myLifestyle plans that already come with unlimited texts and calls to Globe/TM, mobile data and free access to content such as Netflix, Disney Channel Apps, HOOQ, and NBA, among others. Together with exclusive content, postpaid customers who are renewing their plans and will pre-order their iPhone 7 or iPhone 7 Plus from Globe will not only get their new smartphones, but will also have the opportunity to give back to the community through the Globe of Good bundle. A first of its kind, the Globe of Good bundle gives customers a chance to be part of a meaningful cause through donations that will be made in their name. Participating recipient organizations include KIVA, an online crowdsourcing platform to support micro-enterprises; the Global Filipino Schools program that brings 21st century learning in public schools through ICT; and finally the Hineleban Foundation for the rehabilitation of forests in Northern and Central Mindanao. Upon receipt of their new phones, customers will receive the voucher that confirms their donation to all three organizations. “Packed with the latest upgrades in features and hardware, the new iPhone 7 is set to give all our customers a wonderful digital lifestyle experience. Apple has always given its users more reasons to enjoy the devices from all its updates. But what makes this year's launch extra special is the Globe of Good bundle that makes everything more meaningful. It is a good feeling when you acquire something new, and it gets even better knowing that you were able to be of help to others,” says Globe Senior Advisor for Consumer Business, Dan Horan. The new iPhone 7 and iPhone 7 Plus will also available on the Globe myBusiness Unli Plus Postpaid Plans. Globe myBusiness customers may get in touch with their respective account managers for complete details. Postpaid customers can enjoy a more seamless mobile browning as Globe continues to expand its Long Term Evolution (LTE) footprint and migrate its customers to the LTE network. For postpaid customers who have yet to switch to LTE, they will receive their new LTE SIMs together with the new iPhone 7. The SIMs are free of charge and still carry their current mobile number. iPhone 7 and iPhone 7 Plus is powered by iOS 10, the biggest release ever of the world’s most advanced mobile operating system. iPhone 6s, iPhone 6s Plus, iPhone 6 and iPhone 6 Plus will also be available. For complete details on pricing, please visit: www.globe.com.ph/iPhone7.